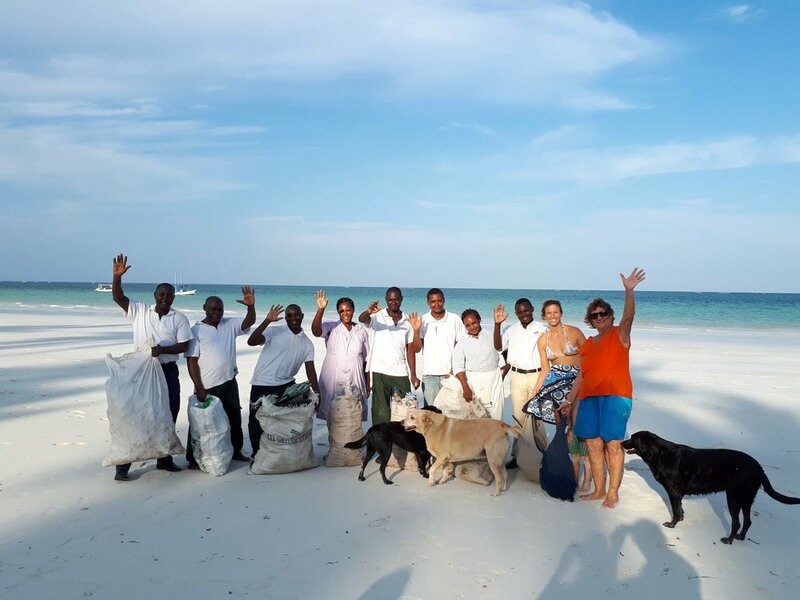 At Kenyaways we are proud of our team who have been together for many years, and have been praised by past guests who appreciate their friendly and happy attitude and excellent African hospitality. Kenya is generally a very friendly place, and Diani beach is unique in Kenya as there is a very cosmopolitan community. All the local kiters usually kitesurf from Kenyaways as it is a great place to chill out and get a drink too. Kenyaways is a small home away from home, These are a few members who make your stay possible. The manager has been working here since 2009. He was swiftly promoted to front office manager in 2012 and has since then written a book and started a taxi business on the side. His working hours are 8am - 5pm Monday - Saturday. Steven will meet you on arrival and check you in. He will handle all your technical issues and any problems you might have. Alex has been with Kenyaways since we opened in 2007 and is a very hard working and kind. He is the security, housekeeping and stores manager. He will take you to your room, make sure you have anything you need and attends to the housekeeping service twice daily. Emmanuel has been at Kenyaways for a couple of years and has been recently promoted to night time supervisor, where he attends to any issues after hours until about 10pm. The founder of Kenyaways which opened in 2007 is now a mother of 2 and living in Dar es Salaam. She is a kite surfing instructor and was working with H2o extreme in some hotels in Diani. She was asked a lot by kite surfers where they could stay and found back then that there was not really anywhere that was suitable or kiter friendly. It just so happened that father Tony Kennaway owned a slice of heaven on the best kiting spot in Diani which was her own playground. After convincing her dad to lease her the property, Kenyaways was set up in an informal style, but is ideal for kite surfers. With the help of her mum Joey Kennaway the reason behind the funky building style, Kenyaways has become a popular beach spot from abroad and locally. Linzi handles marketing, reservations, general decisions, staff and accounts. The house keepers keep your room in order twice daily, once after breakfast and once at around 4pm to drop the nets. They can be asked for more towels, personal laundry requests, and other such queries. At 5pm their duty ends for the day, so for anything later than this you can ask Emmanuel. These invaluable guys are mostly in the background but are responsible for a great deal! Broken water pipes, toilet not flushing, missing sun bed mattresses, rubbish recycling? You name it these guys can fix it! Not to mention the beautiful garden and swimming pool area is the caring hands of Ebrahim who landscapes and tends to the plant nursery. The Kenyaways security team are led by security manager John, our most recent member to the team. These guys are fearless and responsible for securing the outside of the property. They have a good reputation in the area, which is important for maintaining a good safe environment. If you happen to arrive out of the blue with out a reservation they will receive you and make you comfortable. Sadly we had to say good bye to Ndolo our previous security manager, a real character who was well known by frequent visitors. He passed away during an operation in hospital due to complications. RIP mzee and No. 1 beach boy deterrent.